After a few healthy snacks and a green tea shot we took our seats for the presentation from the Global Brand Ambassador. 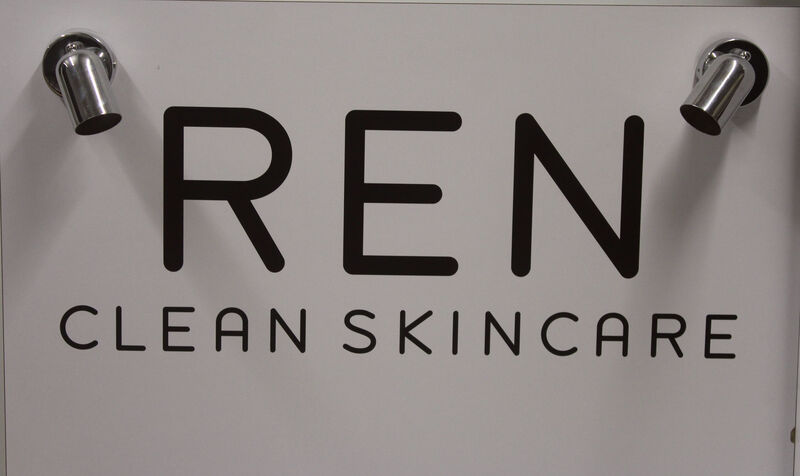 Although I’ve known about REN Skincare for years and have used various products in the range, I never knew how the brand begun. So it was really interesting to hear that it was created by two men, one of them had a pregnant wife who was on the search for a skincare brand that was clean enough for her to use but also luxurious. 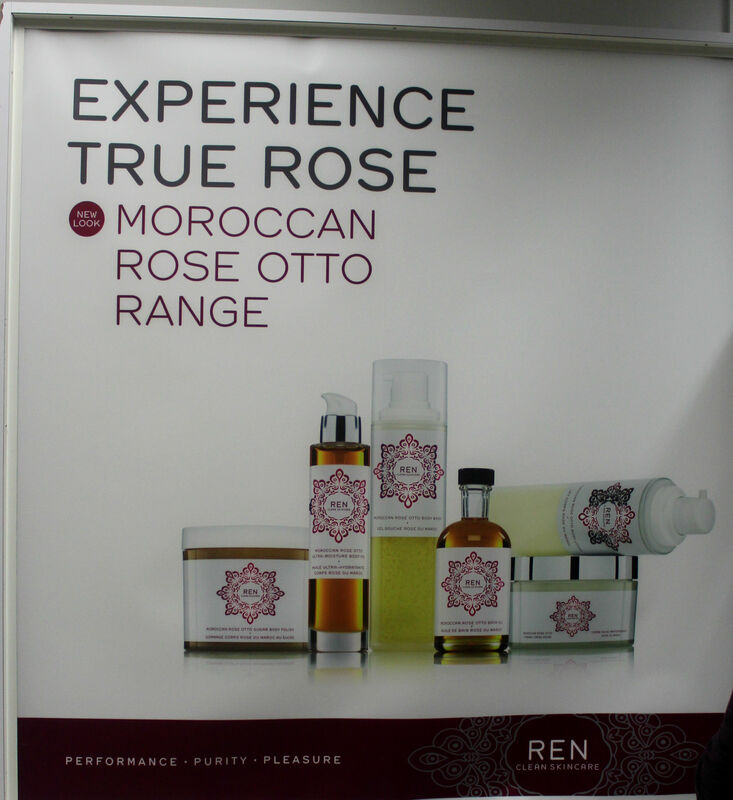 They explained the successes of last year such as the new packaging for the Moroccan rose range. The brand felt the design needed to reflect the Moroccan inspiration and I loved the new look; at times REN products can look slightly too clinical so this was a great way to inject some personality. 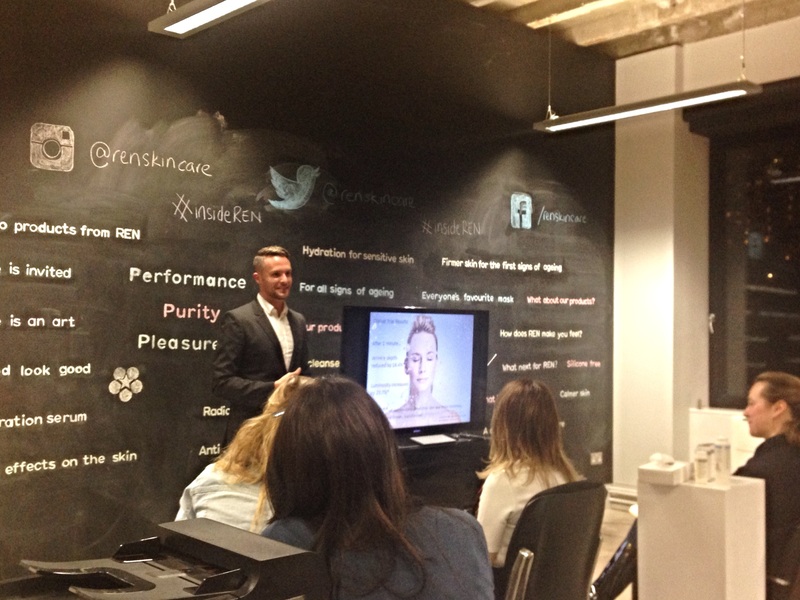 Next up he discussed the V-Cense range, the name is due to the key ingredients Vitamin C and Frankincense. 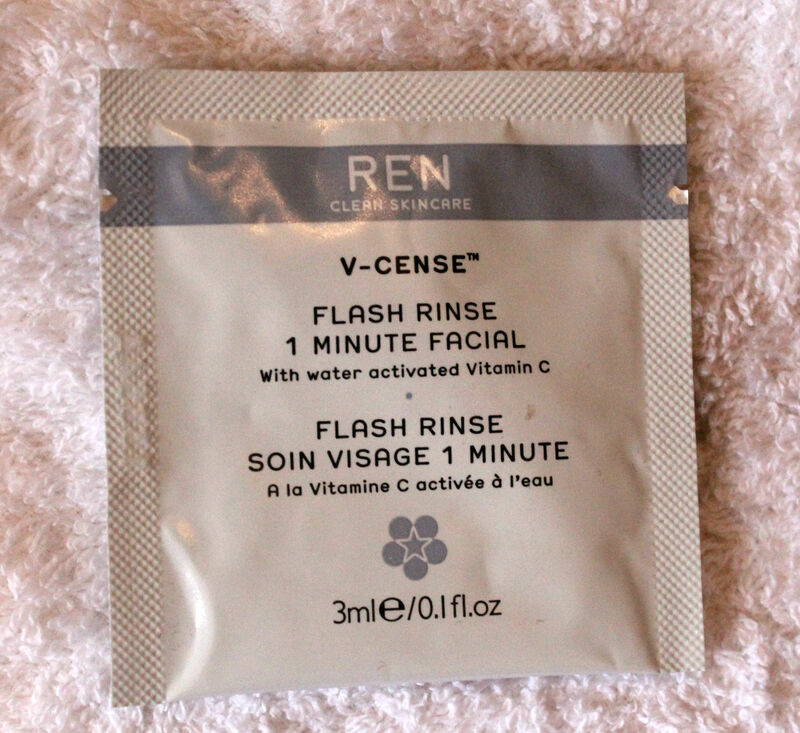 The most exciting launch for 2014 is the V-Cense Flash Rinse 1 Minute Facial launching in March. This gel-rinse includes a strong, potent dose of Vitamin C which ensure the effect lasts for 72 hours. The water activated Vitamin C is claimed to dramatically brighten complexion, remove blackheads, even skin tone and reduce wrinkles. We were lucky to take home a few sachets (the finished product is not ready till March) to try out. The gel-rinse is a pale green and smells like chocolate-orange, not sure that it’s meant to be but that is what I think of when I opened the sachet. The texture is thin, dry and feels gently exfoliating. It’s hard to see immediate effects after just one use but I did feel my complexion was slightly brighter and overall my face felt clean and fresh. We were also given a V-Cense Youth Vitality Day Cream (£28), V-Cense Revitalising Night Cream (£32) and the Rosa Centilfolia Hot Cloth Cleanser (£16). All three are great products, the day cream is slightly too heavy for me but I love the night cream. I’m always a sucker for a hot cloth cleanser though the Liz Earle Cleanse & Polish (previous review here) always will have a special in my heart. One criticism I have of the REN products is the pump system, it just isn’t as smooth as you would hope. 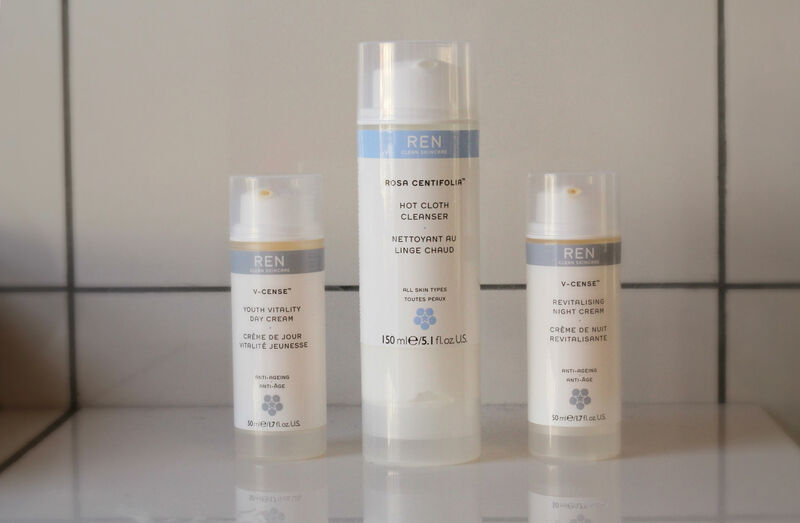 What are your favourite REN products?